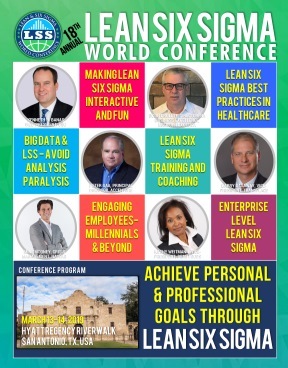 Richard Morrow, MBA, MBB from Motorola and original developer of The Joint Commission's Lean Six Sigma Program used in collaborations with the leading healthcare institutions. And, author of "Utilizing the 3Ms of Process Improvement" and "Leading High Reliability Organizations in Healthcare,". Rick Morrow is one of a few executives experienced across high reliability organizations such as Motorola, Eaton, United Airlines, and The Joint Commission. Rick was the original developer of The Joint Commission’s Robust Process Improvement used in The Center for Transforming Healthcare. He led collaborations with academic medical centers and premier providers to solve healthcare’s most vexing clinical outcome issues. • APICS Certified CPIM, Past NAPM Certified C.P.M.